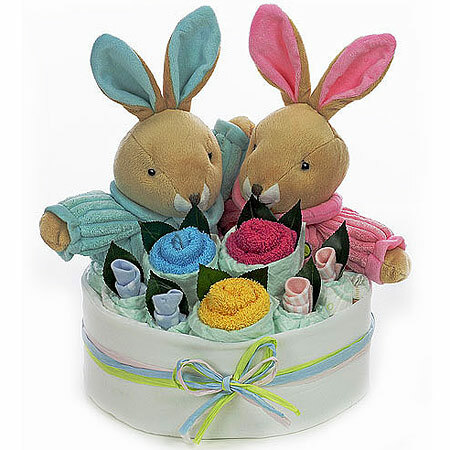 The arrival of twins means double the joy, double the fun, and double the nappies! 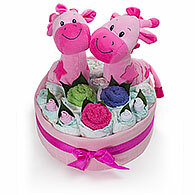 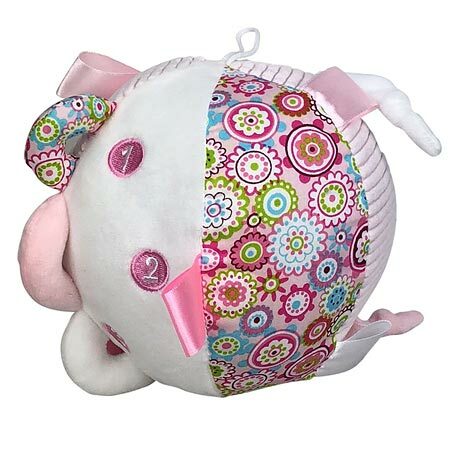 At My Baby Gifts we take the hard work out of searching for two separate gifts, with our new range of twin baby hampers. 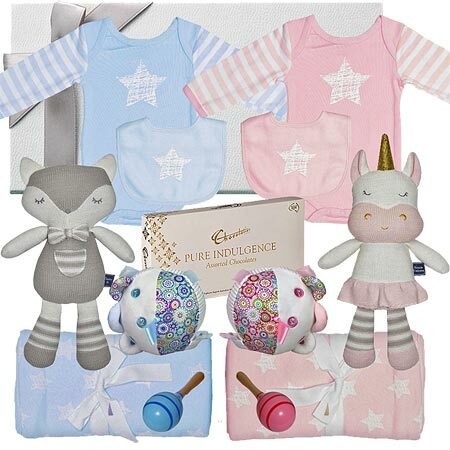 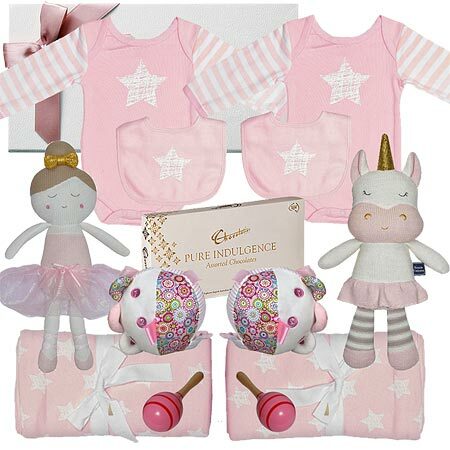 Within our unique twin baby gifts range you will find an ever growing selection of brands that we have conveniently combined to make these gorgeous baby hampers. 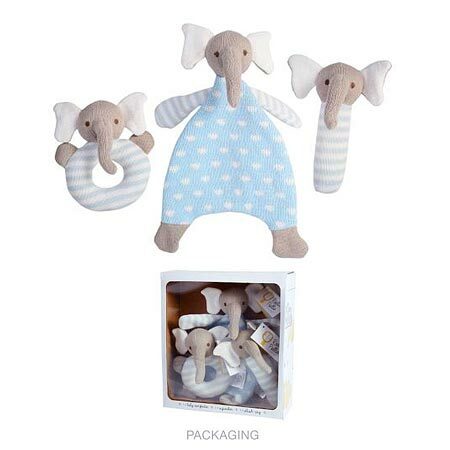 We have taken some great brands and packaged them to create these truly wonderful gifts that any new family would warmly welcome. 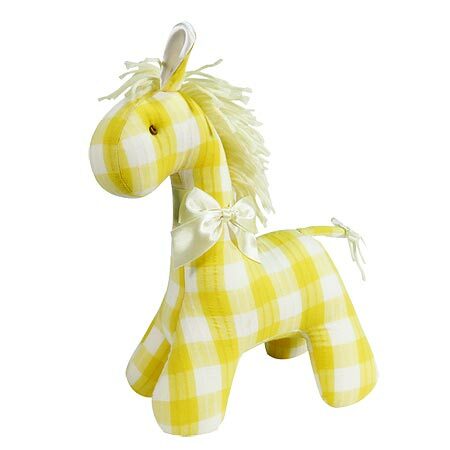 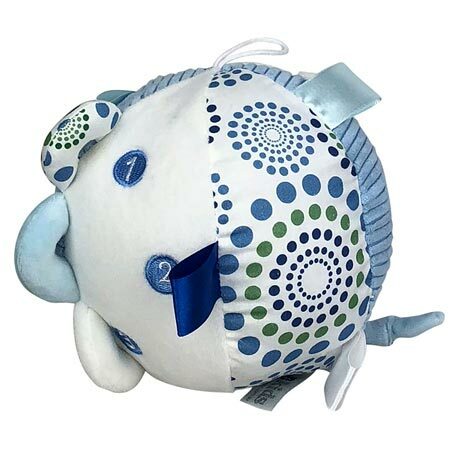 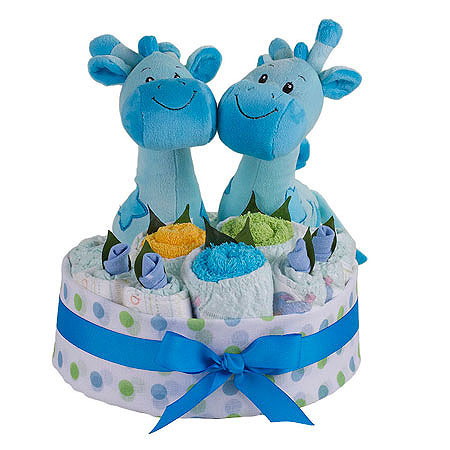 The welcoming of two gorgeous twins into the world calls for a gorgeous baby gift to match. 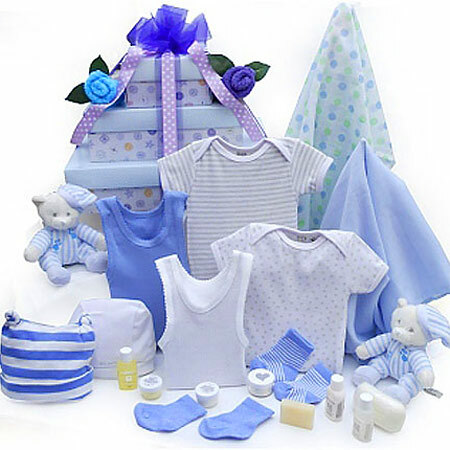 Each gift is carefully organised and coordinated with one of our great assortments of organza and silk bows and wrapping. 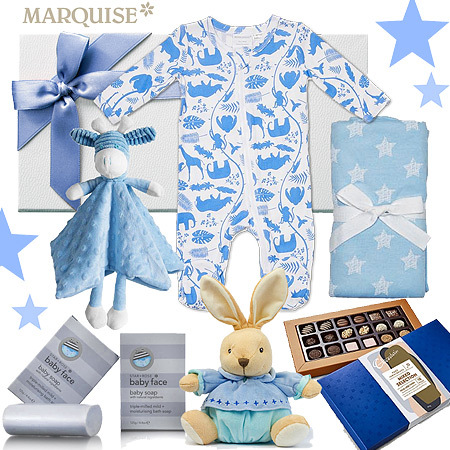 You also have the opportunity to personalise your twin baby gift with a personalised message and gift card, available upon checkout. 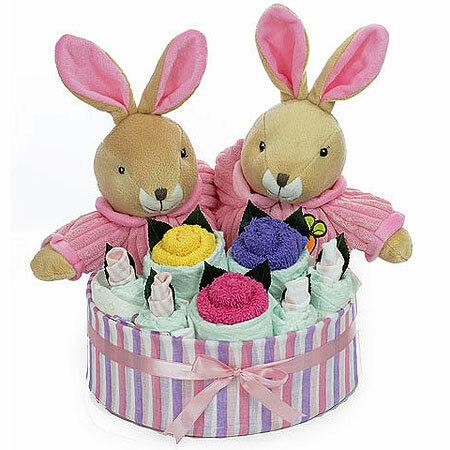 We use local Australian baby brands that use the Australian standards for certifying garments & accessories. 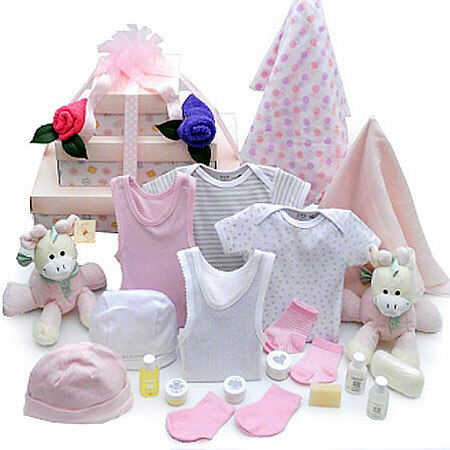 This is to ensure that the baby clothing meets the regulatory standards placed by the government.